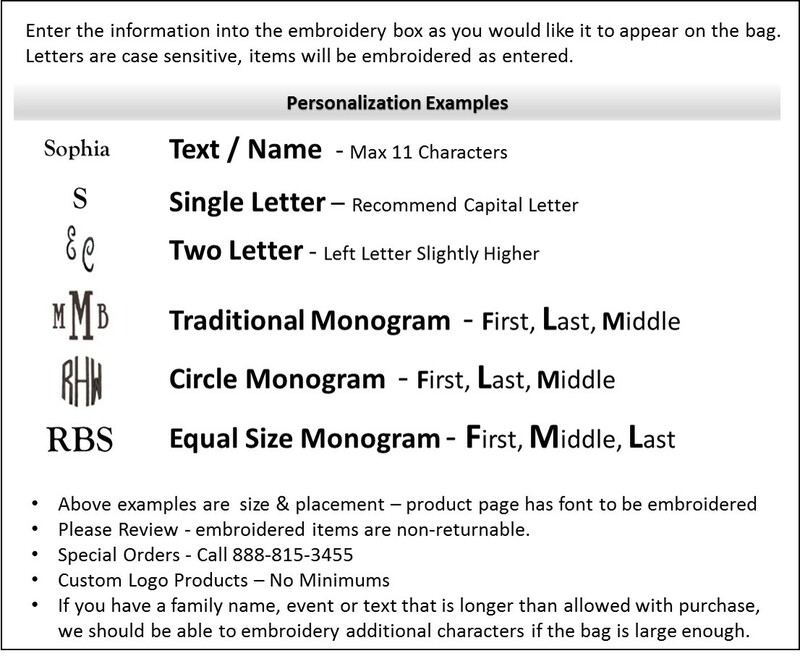 For the registered nurse, a personalized embroidered canvas tote bag. Acknowledge their outstanding professionalism, care and compassion. Great tote for a nurse graduation gift or Nurse’s Day recognition. Medium size for back and forth to work. Easily holds an ipad, lunch, ID and a few daily necessities. Unlined tote with NAVY 2.5 inch band near bottom. Open tote with double stitched canvas handles. RN logo is included with purchase. Add a name or three letter monogram for a personal gift. Embroidered canvas nurse tote measures 17W x 11"H, five inch wide bottom. Nurse tote has comfortable carry strap. Ordered and received bag in expected time frame - so happy with the quality outside quilted material and inside nice soft fabric with zippered pocket to keep small items in place. Nice stitching of nurse stethoscope and custom initials. Perfect size and strap length. Would recommend.